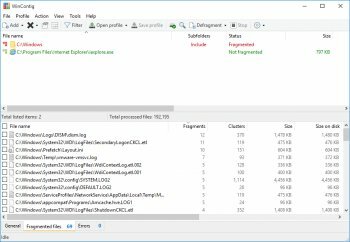 WinContig is an easy-to-use stand-alone defragmentation tool that doesn't create any installation directories or Registry entries on your computer. Its purpose is to quick defrag files without the need to defrag the whole disk. 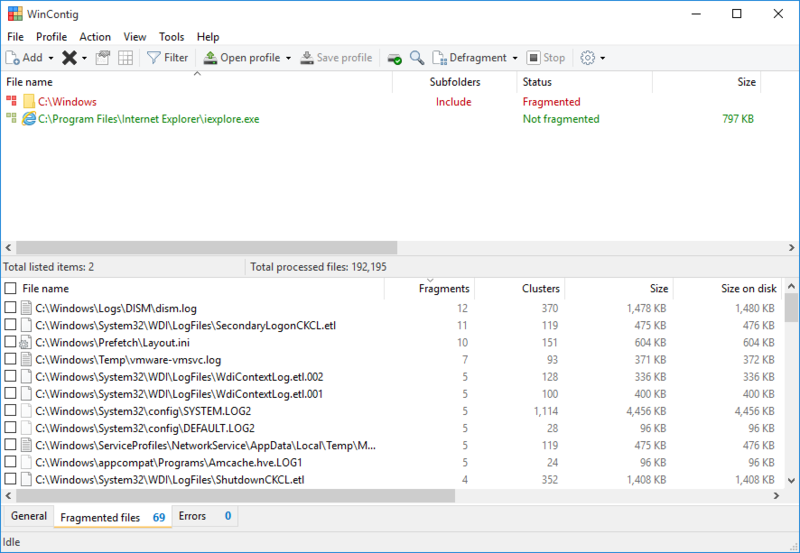 Its defragmentation and analysis engine is based on the standard Microsoft defragmentation API. In addition, it allows you to group files into profiles, and also it accepts a number of optional command-line switches that you can use to control how the program operates. Funny. A gui on the old "config" by russinovich? I guess. Not bad. But I still prefer jkDefrag. GNU/GPL, less GUI, faster and more options. (Defrag using wildcards, more sorting options and so on). And yeah, the lack of a config GUI can be annoying, but there are builds you can find with GUI too. TG ssd's are coming to market FINALLY. not a bad defrager. what makes it notably different frm the others is that it can defrag any directory you want, instead of the whole partition.